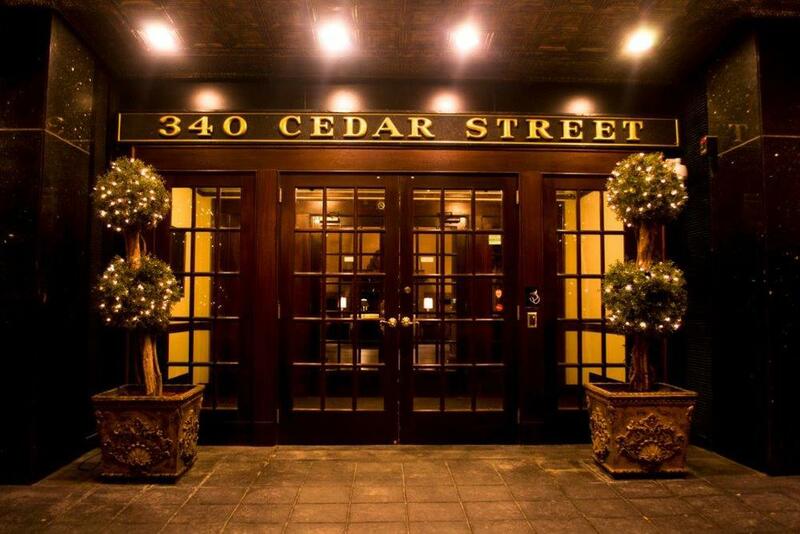 The St. Paul Athletic Club is a historic thirteen story building located in the heart of Downtown Saint Paul at 340 Cedar Street. The property was completed in 1917 and is listed on the National Register of Historic Place. Office space, banquet facilities, guest rooms, and the newly renovated Saint Paul Athletic Club are all available for rent or membership. A two-story lobby with a grand fireplace greets you as you enter this beautifully restored landmark. Skyway access, meticulous renovation, and an art deco character are just a few of the reasons to check out this historical downtown fixture. The Saint Paul Athletic Club is a historic thirteen story building located in the heart of Downtown Saint Paul. Listed on the National Register of Historic Places, this gorgeous building is home to banquet facilities, the Saint Paul Athletic Club, Hotel 340, Global Language Institute, and the College of St. Scholastica. 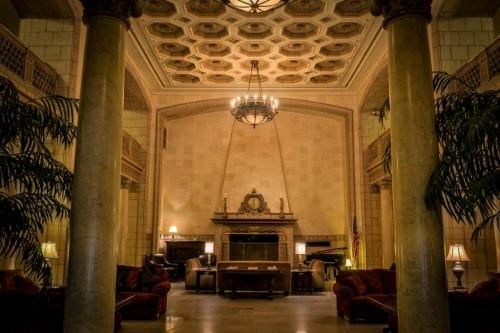 Being greeted by a soaring marble lobby with a grand fireplace, skyway access, and meticulously restored English Renaissance features are just a few of the reasons to check out this historic downtown landmark.